Join us and the Minnesota Twins as we take on Harvesters food bank and the Kansas City Royals in a friendly competition to fight summer hunger. One in 8 children in Minnesota is hungry. And during summer break, 40 percent of kids who rely on free or reduced-price meals at school are left without these meals they could count on. The Kansas City Royals and Harvesters food bank have challenged the Minnesota Twins and Second Harvest Heartland to a friendly competition to fight hunger. Our goal is to provide 100,000 meals. We can’t do it alone. The Minnesota Twins, Second Harvest Heartland and our hungry neighbors need you to Step Up to the Plate and help. 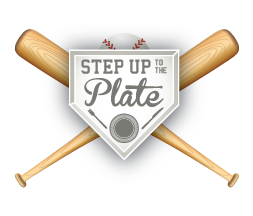 From July 2-25 visit stepuptotheplate.today and donate to help kids in our community. Every $10 donation will provide 30 meals! Your support helps connect local kids to the food they need to thrive. Let’s make sure all kids can have fun playing this summer instead of worrying about food and Step Up to the Plate to beat the Royals!